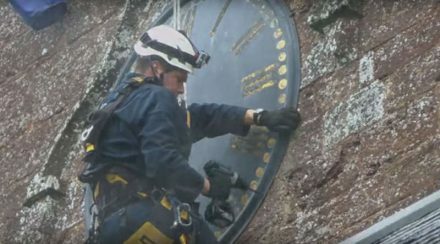 Church clock dial removal and replacement on the tower of St John the Baptist Church, Sampford Peverell, Devon. 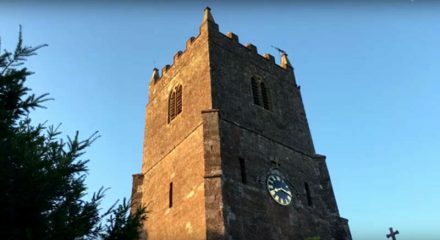 Our team of expert clockmakers travelled to St John the Baptist Church, Sampford Peverell, Devon in 2013. 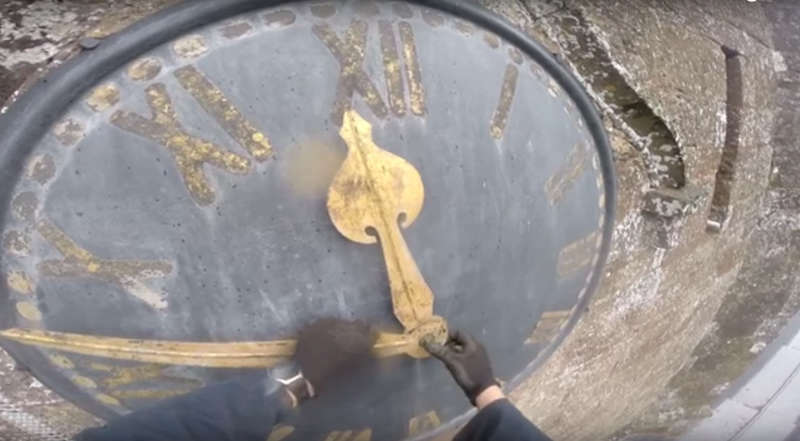 With attention and care, our clockmakers removed the 1870, 4ft 6in copper convex dial and hands away from the façade of the church tower and brought the dial to ground level. 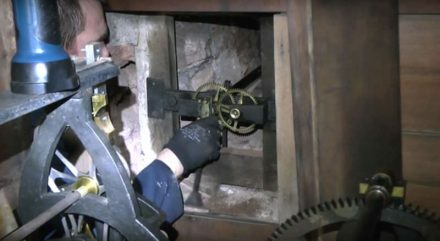 It became apparent that the internal dial works also needed to be restored due to corrosion over the years. 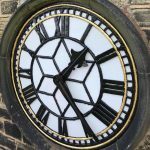 Our highly skilled clockmakers used their extensive skills and knowledge to restore the dial, hands and internal dial works back to its former resplendence. 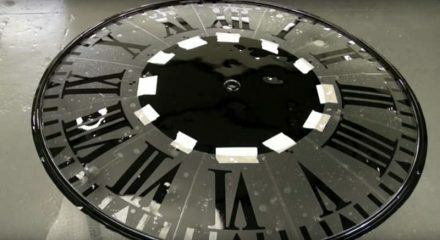 The old paint on the dial was removed and was repainted using the most durable paint available. Our team of clockmakers then continued to restore the clock by stencilling chapters onto the dial ready for gold leaf. 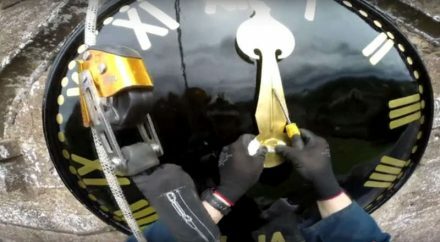 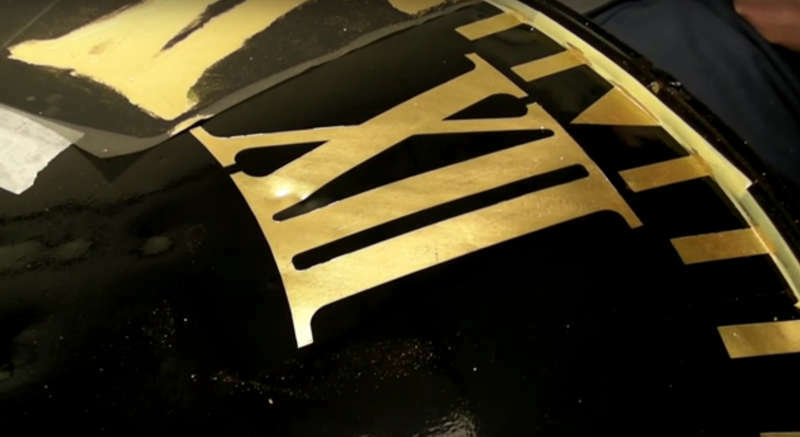 Once the size glue had been carefully painted and left to cure using the stencilled chapters of the dial, the gold leaf was then applied by hand. 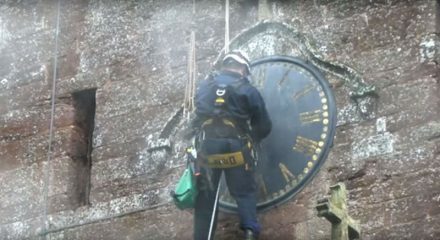 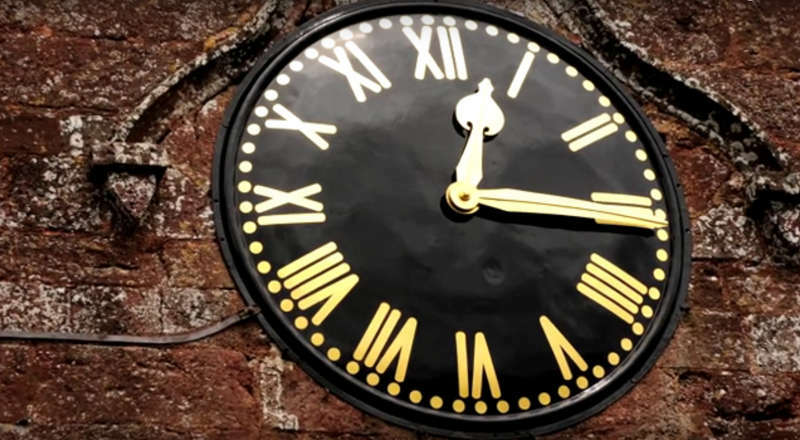 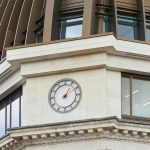 The restored clock components were then transported back to Devon and installed back onto the façade of the church tower with attentiveness.